Chef Khoi Nguyen and the children pick the winner. For the second consecutive year, the Atlanta Convention & Visitors Bureau (ACVB) sales team hosted a Gingerbread Workshop at the Westin Peachtree Plaza for its meeting and convention clients. Among the attendees were representatives from top Atlanta companies and associations. 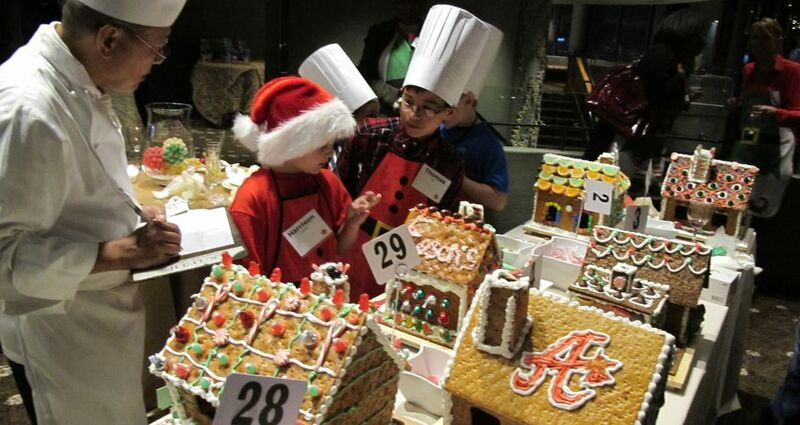 Guests were broken up into eight teams and given one hour to design a festive gingerbread house. Attendees competed in various categories, including creativity, most festive and best overall. Prizes included hotel packages, restaurant gift cards and tickets to Atlanta attractions. New this year, the clients’ children served as contest judges and were treated to a kitchen tour of the Westin Peachtree Plaza led by Executive Chef Russell Sleight.